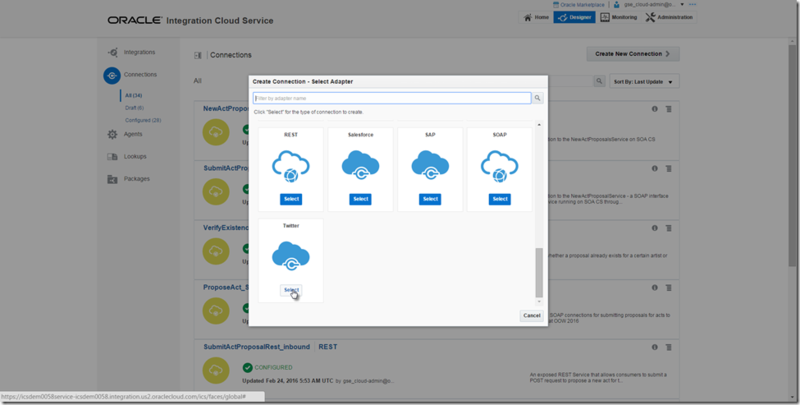 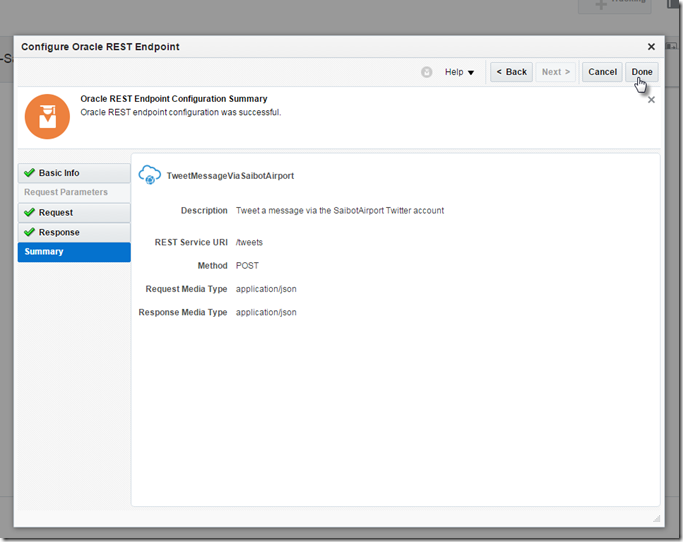 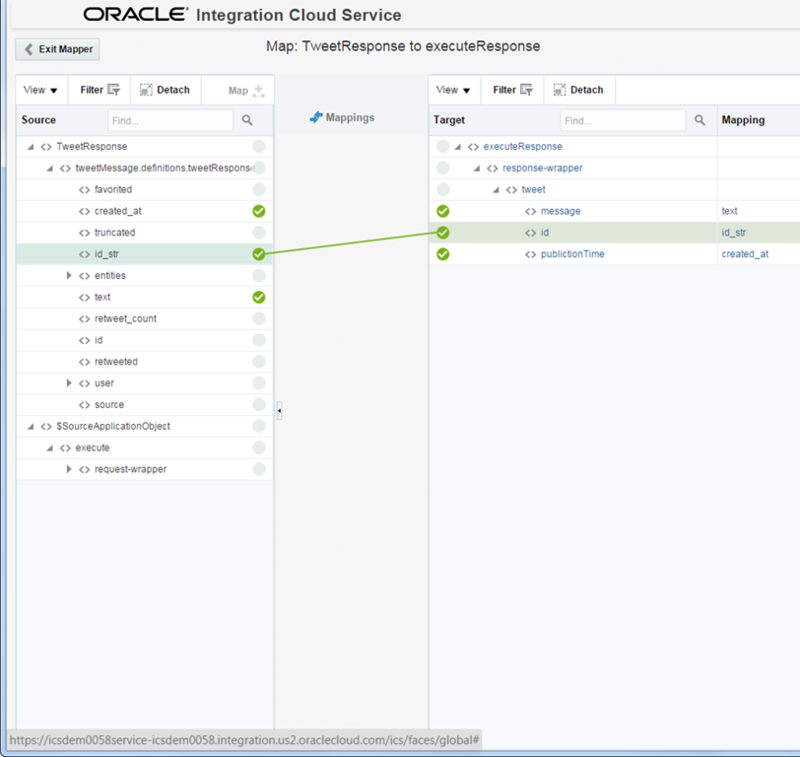 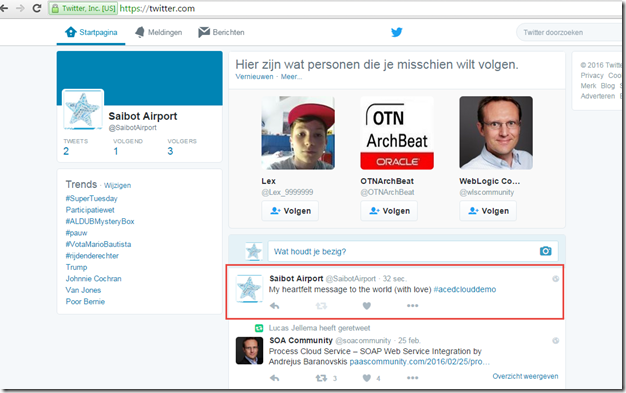 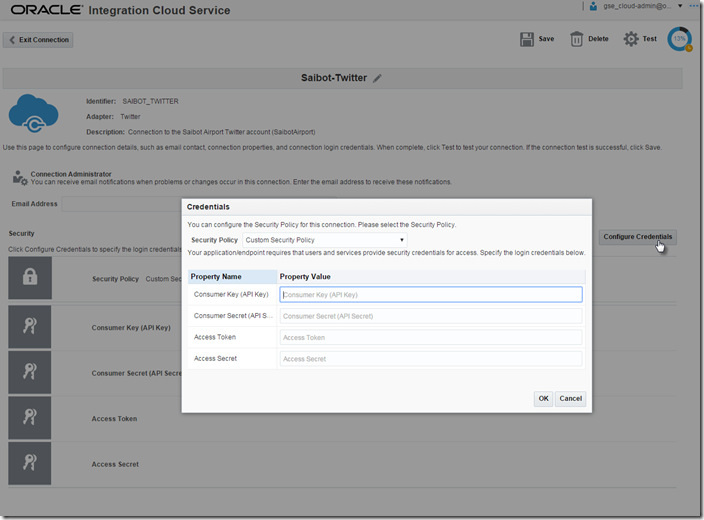 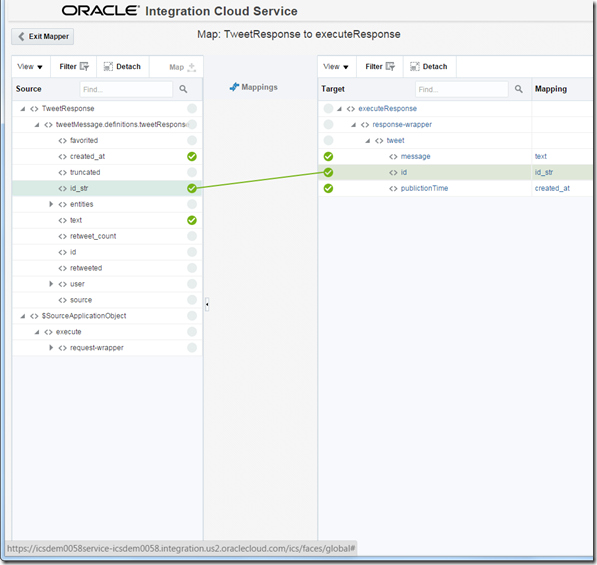 The Oracle Integration Cloud Service – ICS – comes loaded with a rich collection of Cloud Adapters. 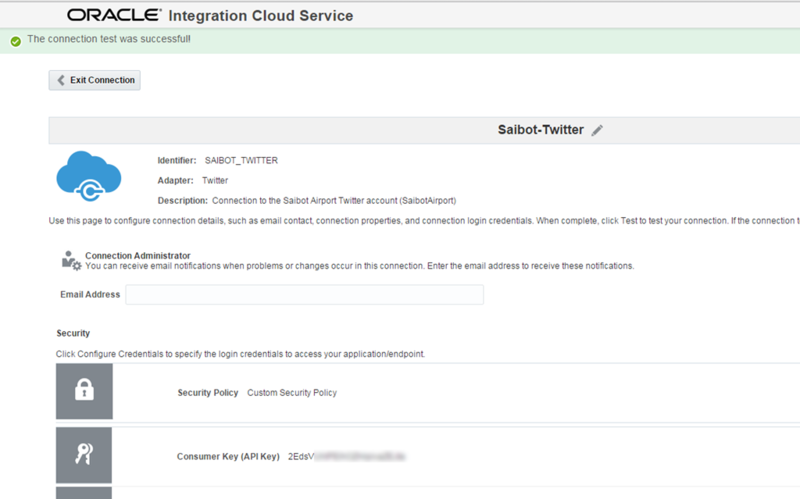 These adapters facilitate the integration with SaaS applications and internet services of various natures. 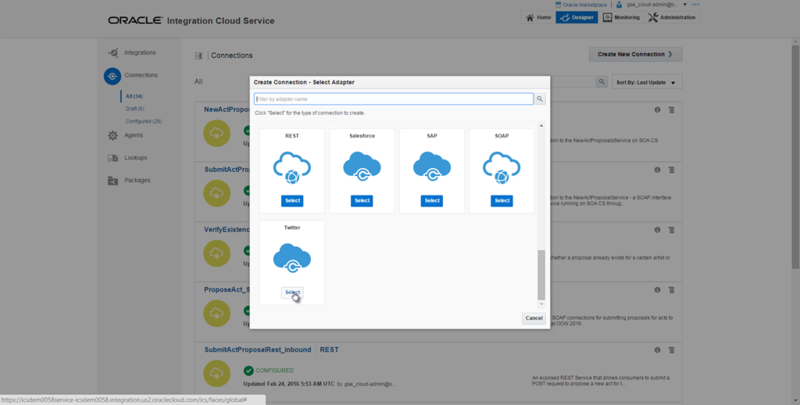 These include Oracle SaaS applications (such as RightNow, Eloqua, ECommerce Cloud, ERP Cloud, HCM Cloud), on premises ERP applications (SAP, EBusiness Suite, Siebel) and assorted third party applications such as SalesForce, Facebook, Google Mail and Task, LinkedIn and Evernote. 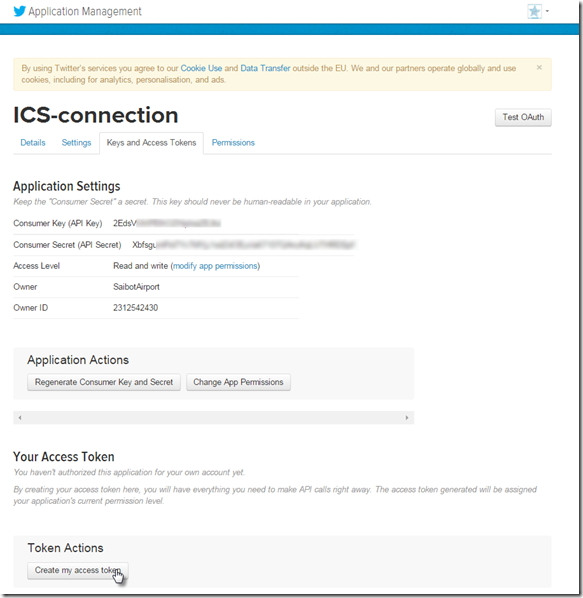 Through these adapters, interacting with said applications and services becomes a simple, declarative operation instead of a custom programming effort. 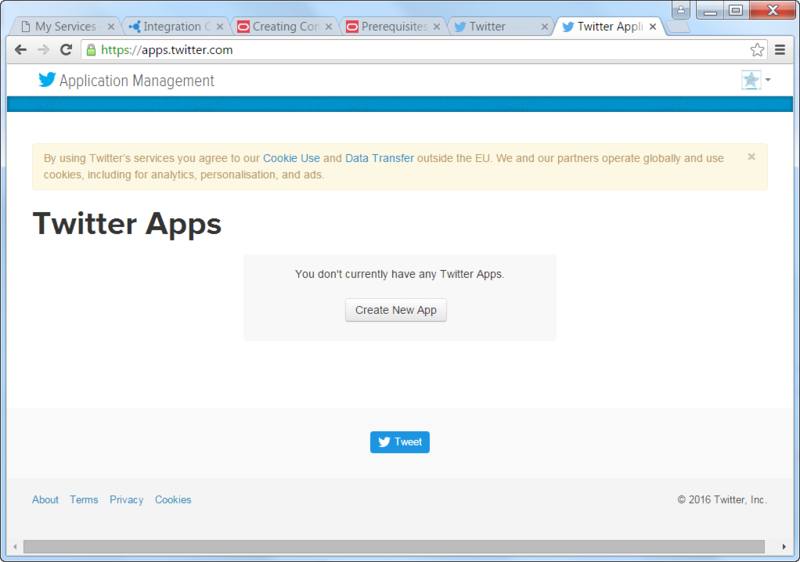 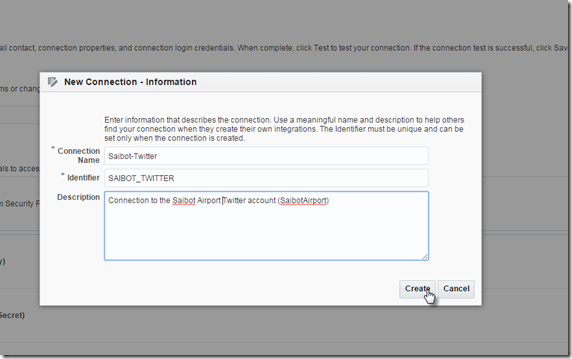 In this article, I will use the Twitter Adapter to create a connection to a Twitter Account (leveraging the Twitter API under the covers). 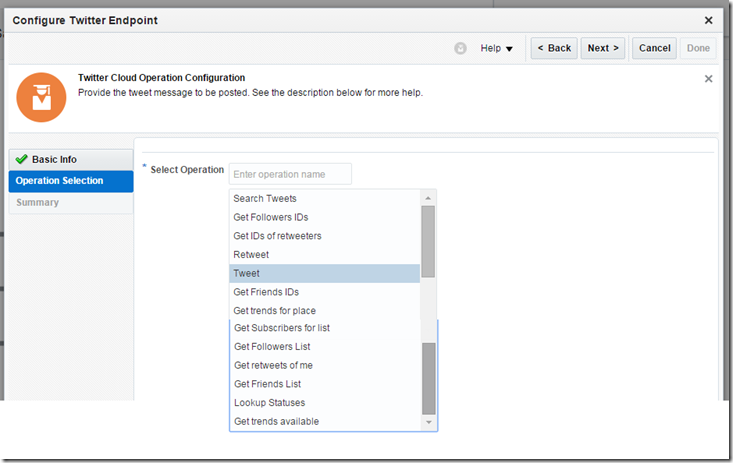 The Twitter Adapters exposes over a dozen operations. 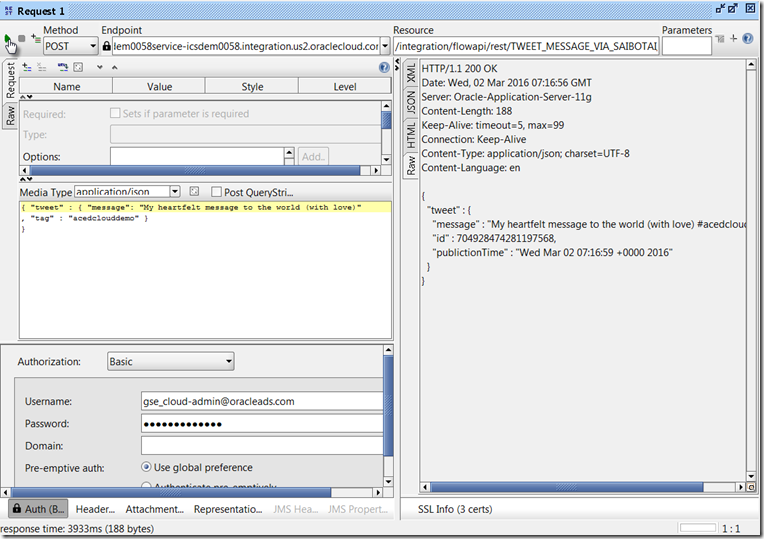 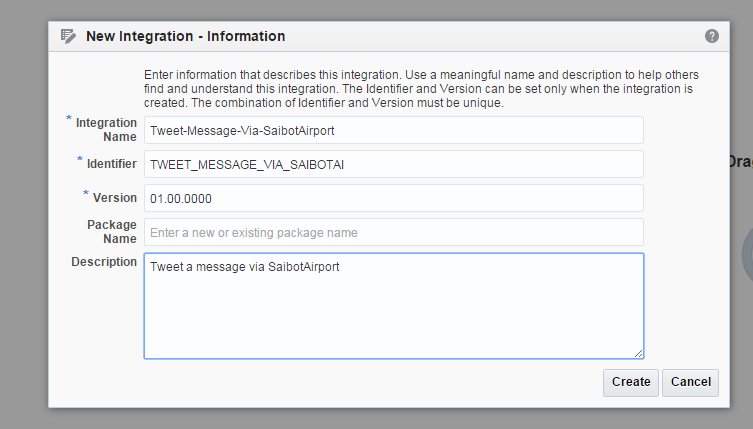 I will use just the operation to publish a message (aka Tweet) in this example. From ICS, I will expose an integration through a simple REST connection. 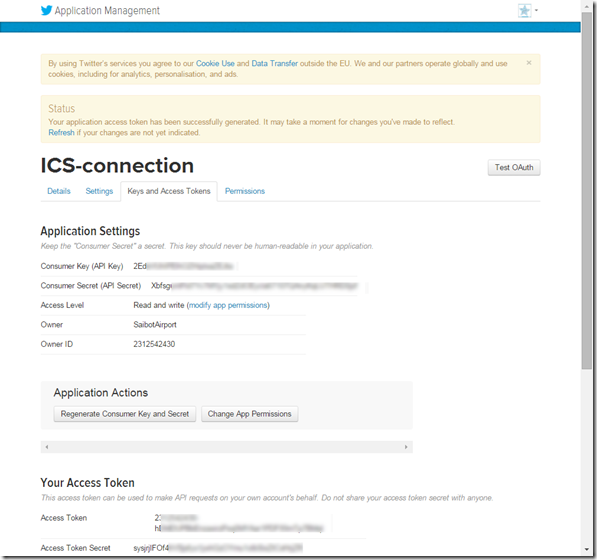 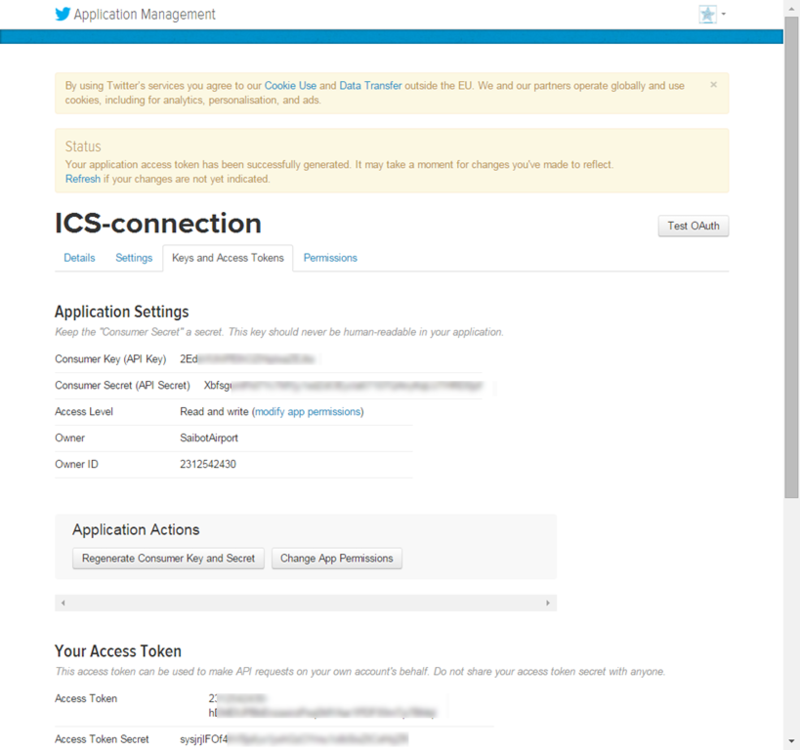 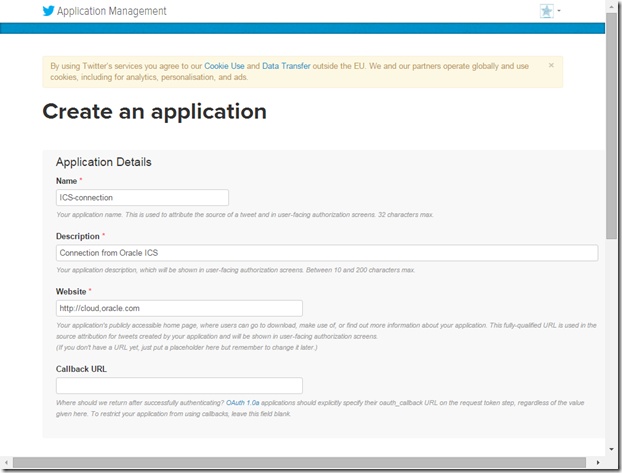 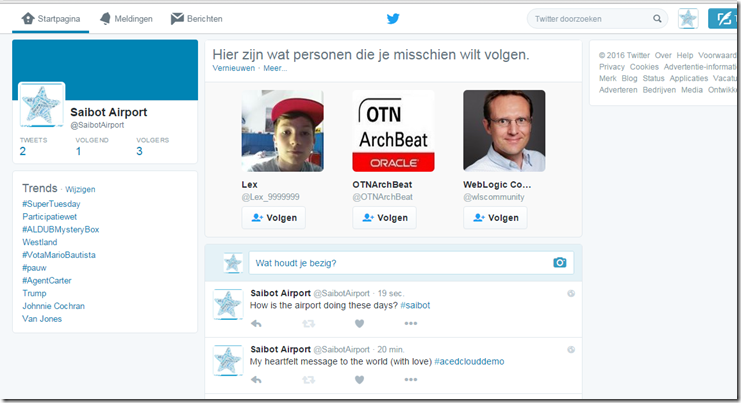 This allows trusted consumers to publish Tweets in a very easy way – leaving the authorization details and the API intricacies to ICS. 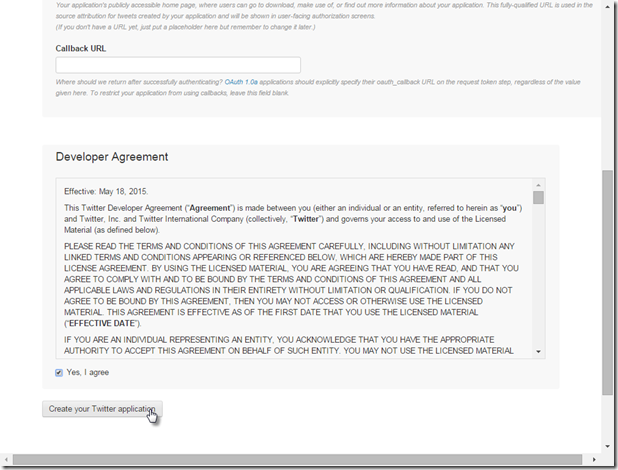 Most of these steps are explained by the screenshots you will find below. 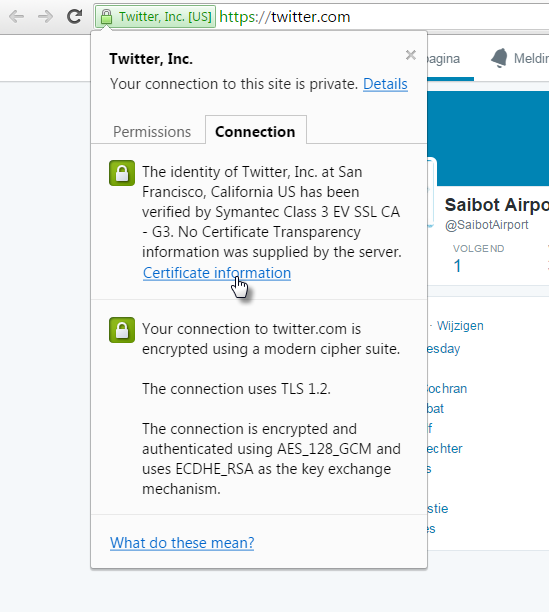 One step I did not have to through because the certificate already had been set up on my ICS instance is uploading Twitter’s security certificate (see in ICS docs: Uploading the SSL certificate and on Twitter: https://dev.twitter.com/overview/api/tls ). 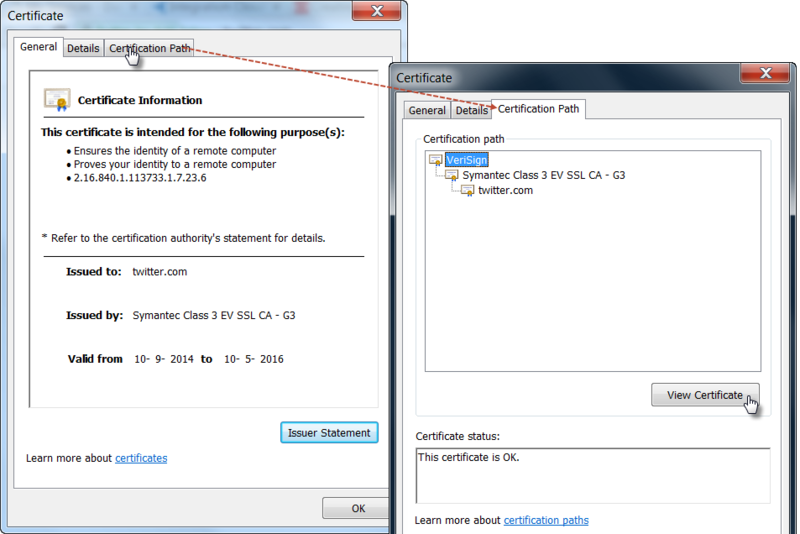 At the end of the article, you will find what I believe the steps should be in cases where this certificate is not already set up. 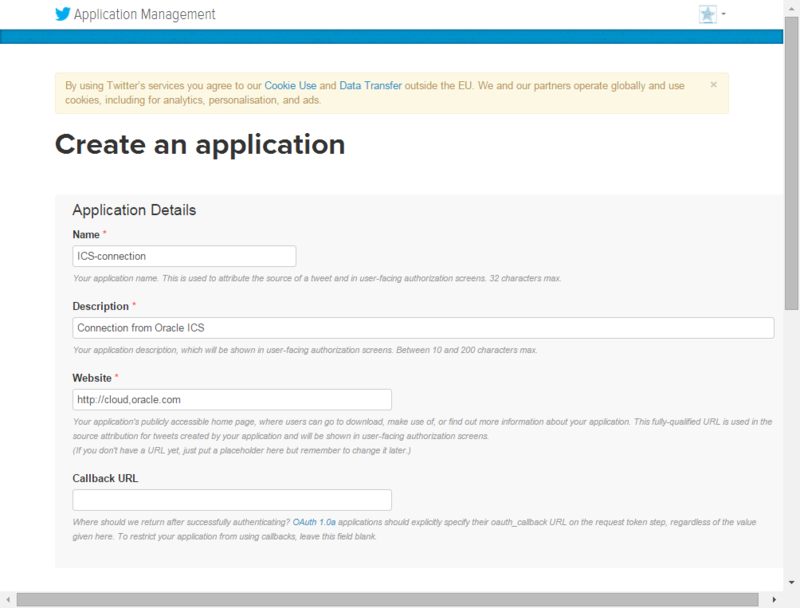 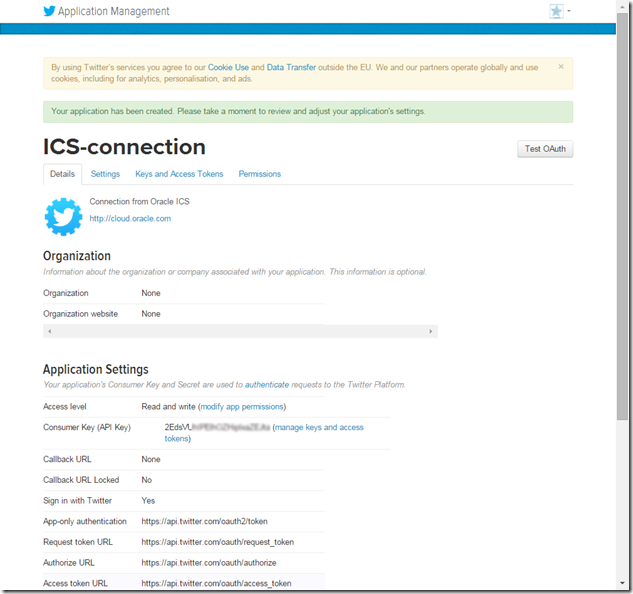 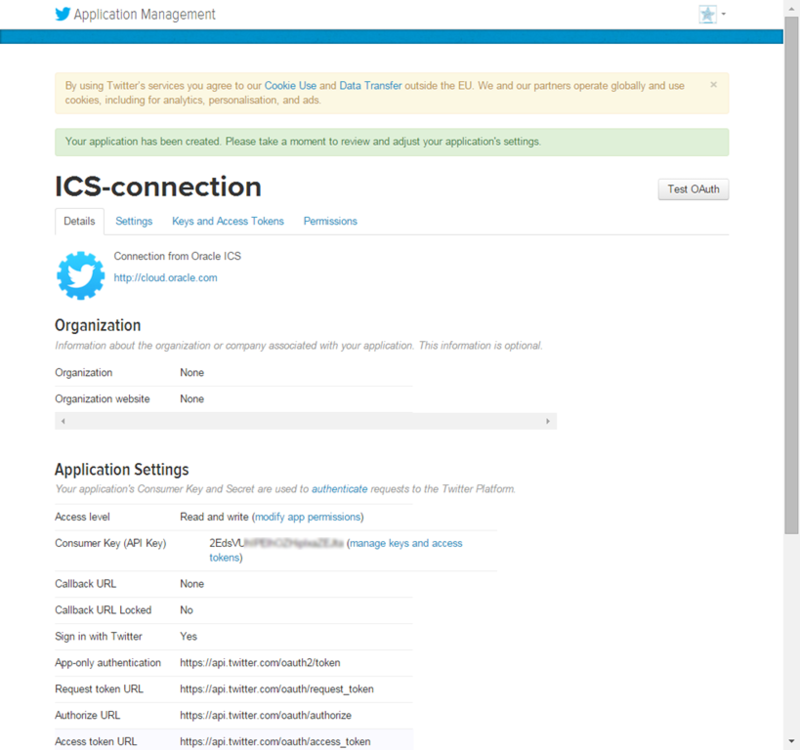 Go to the Twitter developer page at https://dev.twitter.com and follow the instructions in the ICS documentation. 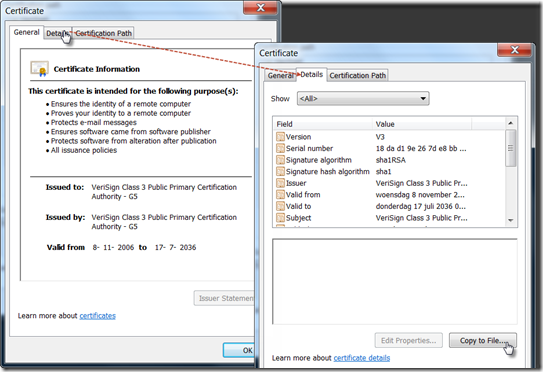 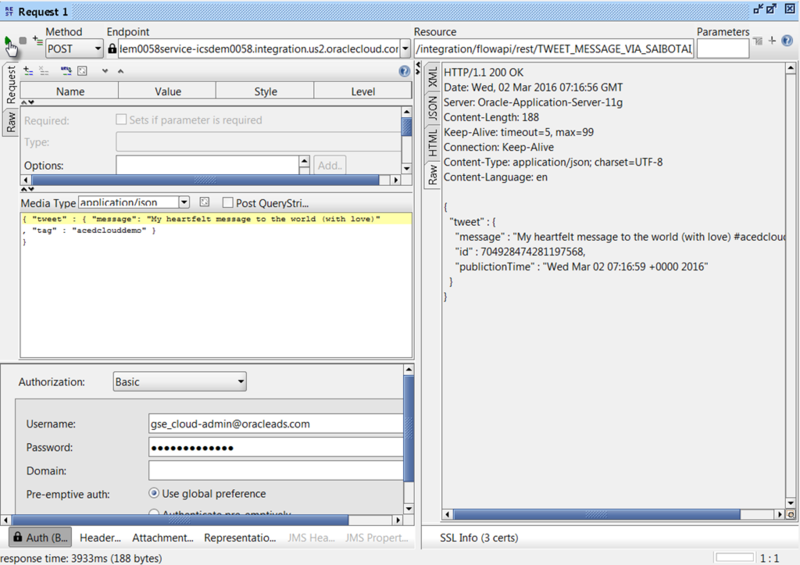 Certificates are used to validate outbound SSL connections. 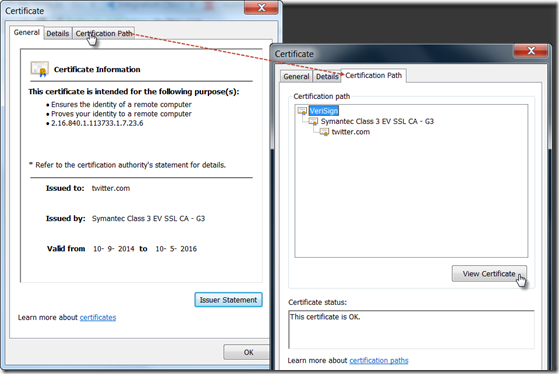 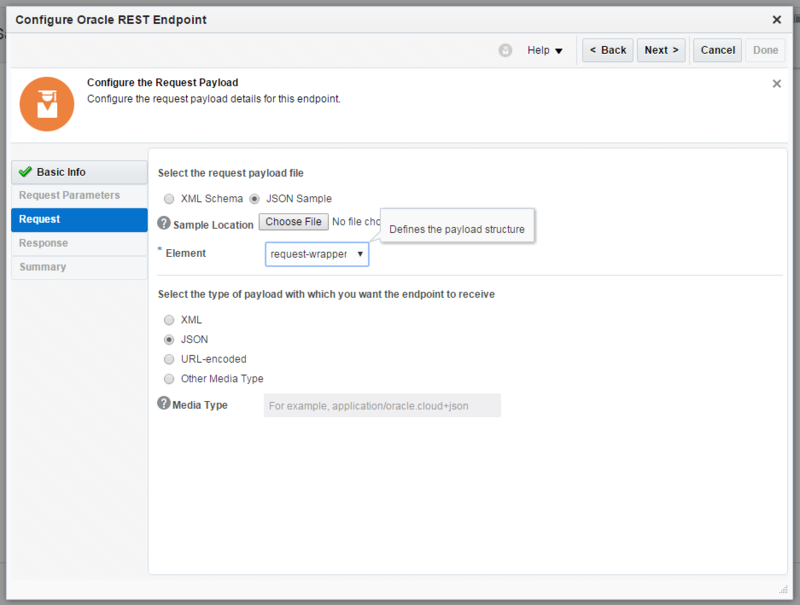 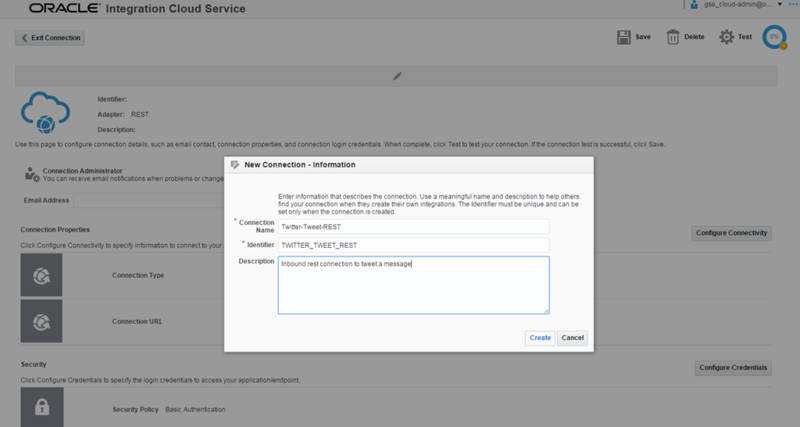 If you make an SSL connection in which the root certificate does not exist in Oracle Integration Cloud Service, an exception is thrown. 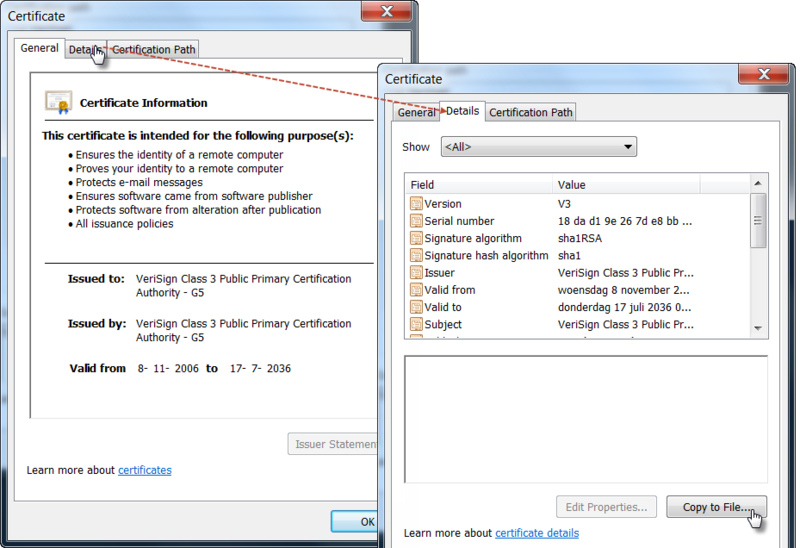 In that case, you must upload the appropriate certificate. 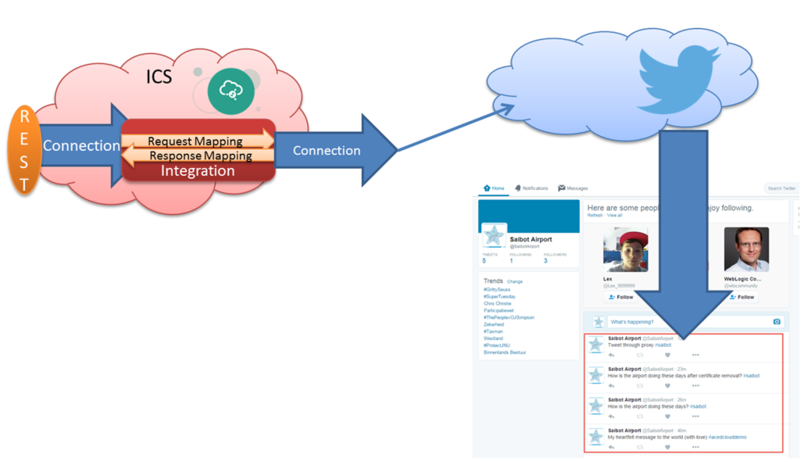 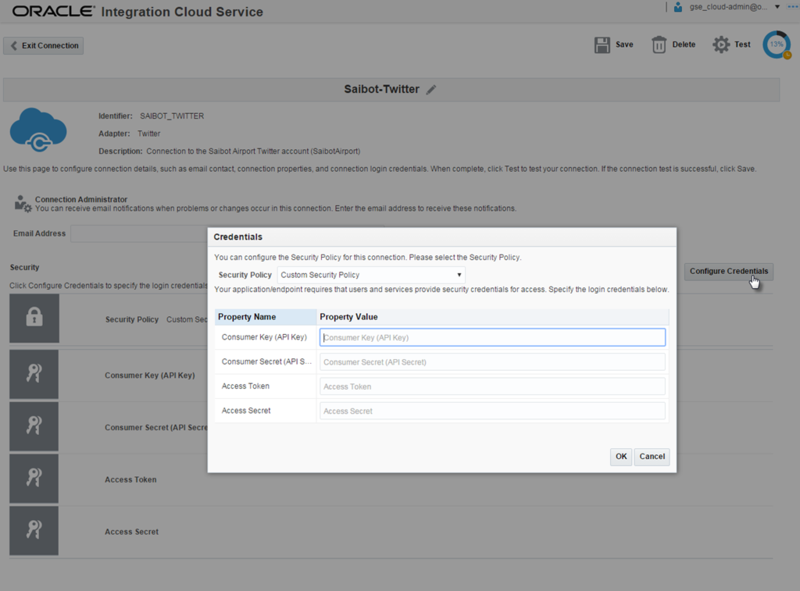 A certificate enables Oracle Integration Cloud Service to connect with external services. 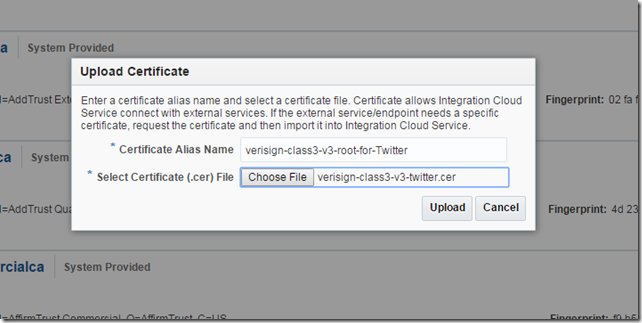 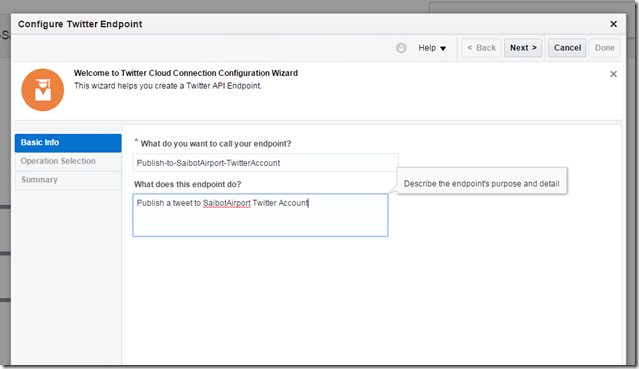 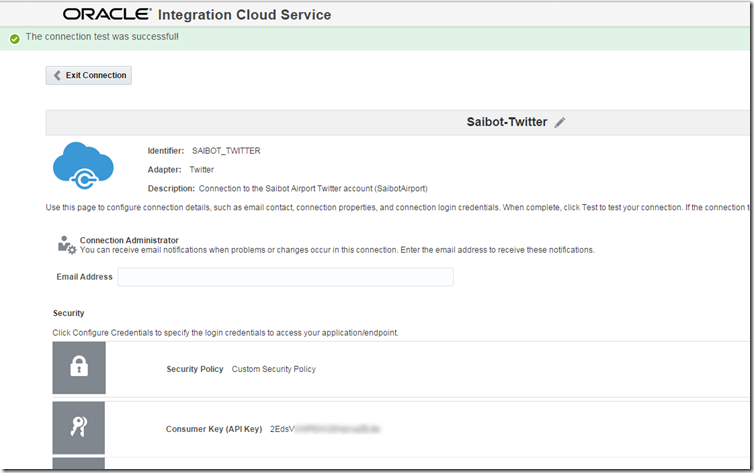 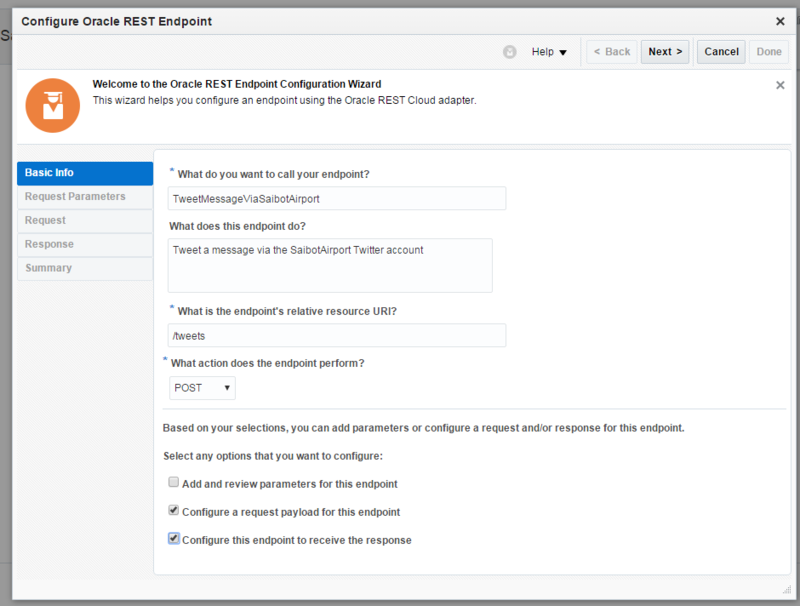 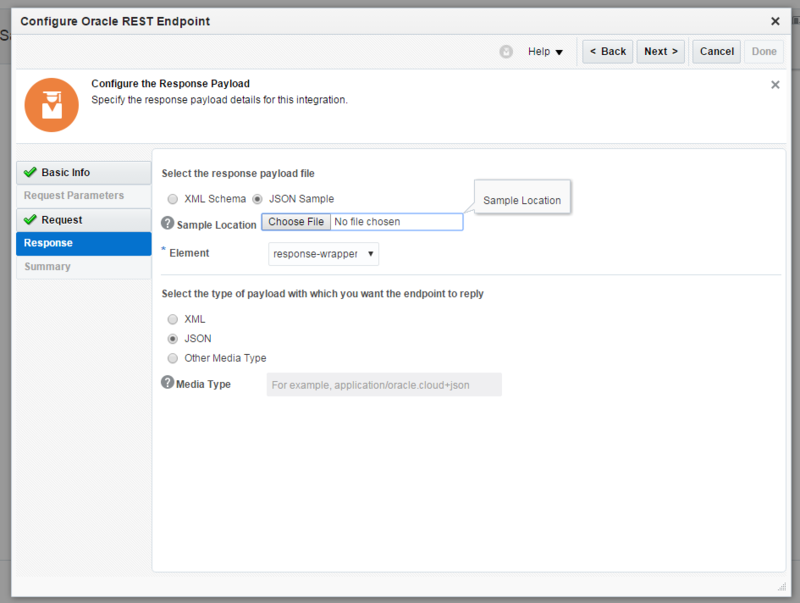 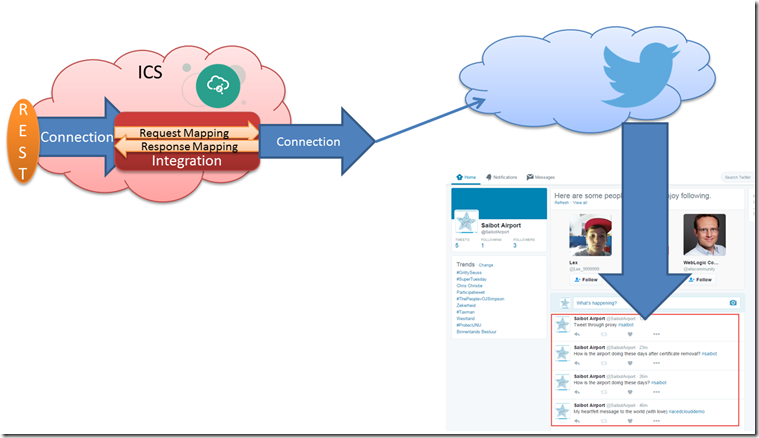 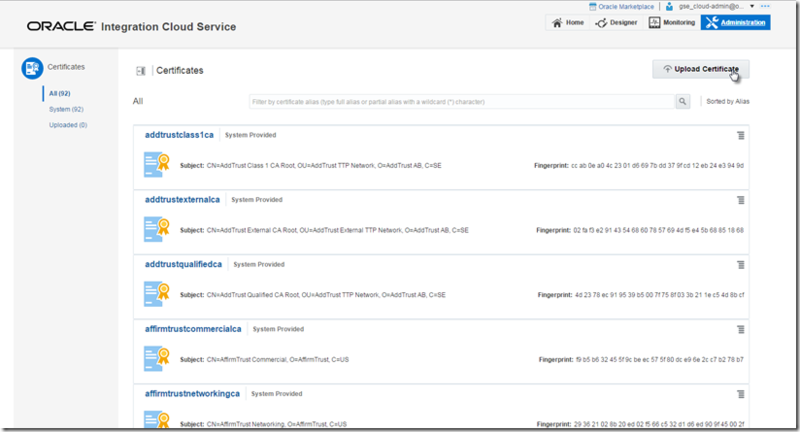 If the external endpoint requires a specific certificate, request the certificate and then upload it into Integration Cloud Service. Twitter developer page at https://dev.twitter.com. 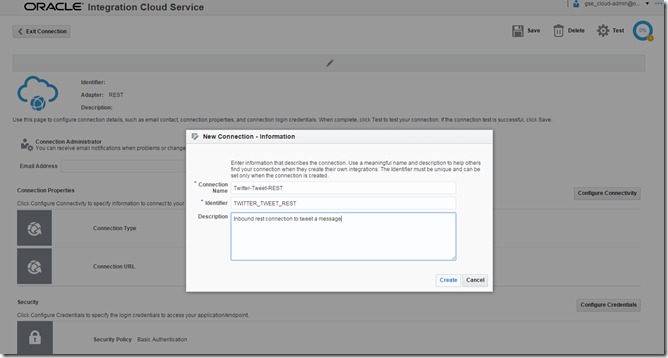 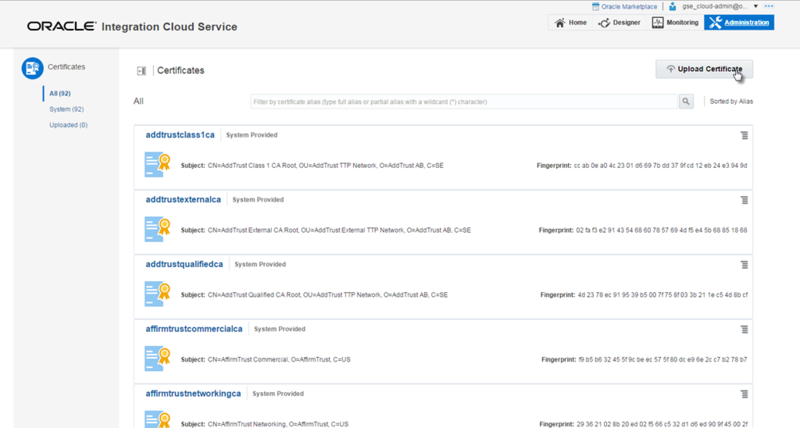 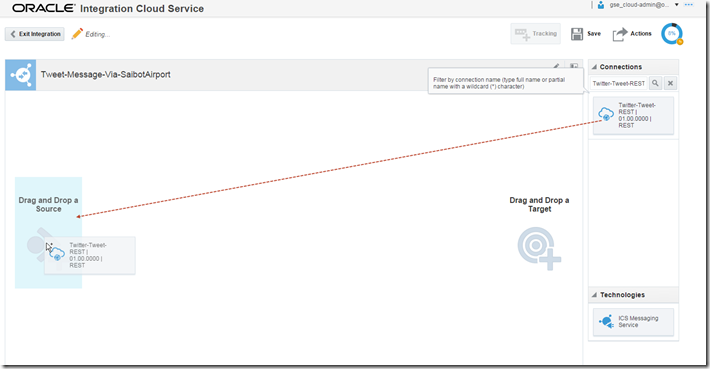 Oracle Mobile Cloud Service (MCS) and Integration Cloud Service (ICS): How secure is your TLS connection? 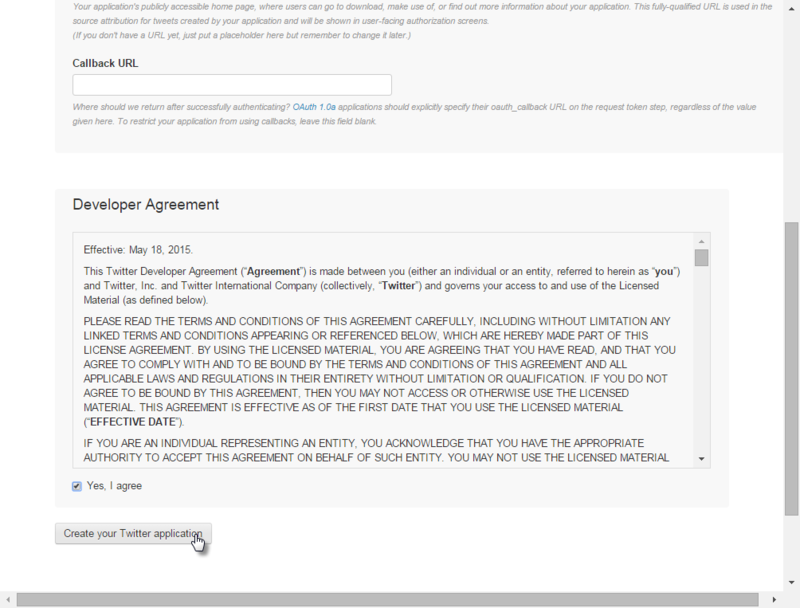 Thanks for the detailed explanation but wanted to know can we tweet an images along with message using ICS. 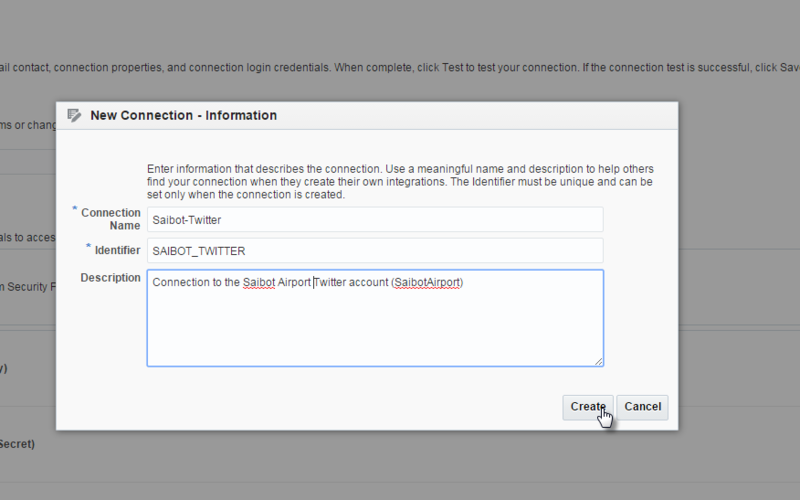 Could you please explain this. 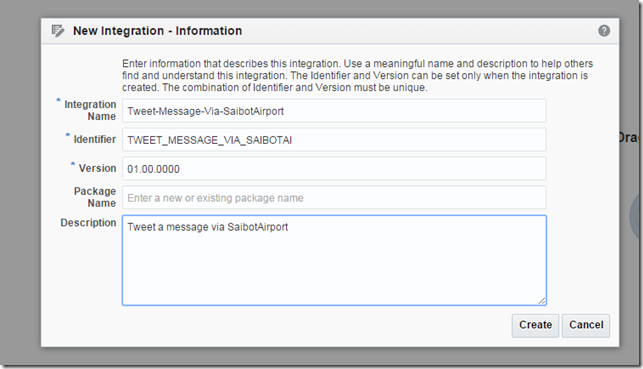 Hi Subbu, When you call the endpoint with SOAPUI, replace ‘metadata’ with ‘tweets’.